The solid brass case means you don’t have to worry about moisture or rust. You can even use the Sports Lock to secure outside equipment in the rain and snow. 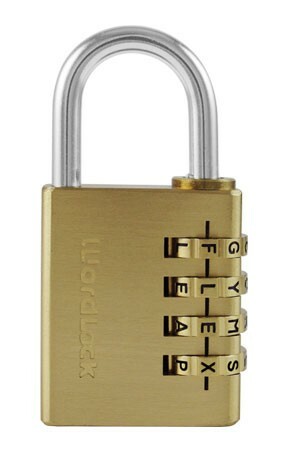 This lock redefines the locker room. While everyone else struggles to remember a number combination, you can store your street clothes and get a head start in the gym. With 10,000 possible combinations, you’ll be able to pick a word you can remember but no one else can guess. 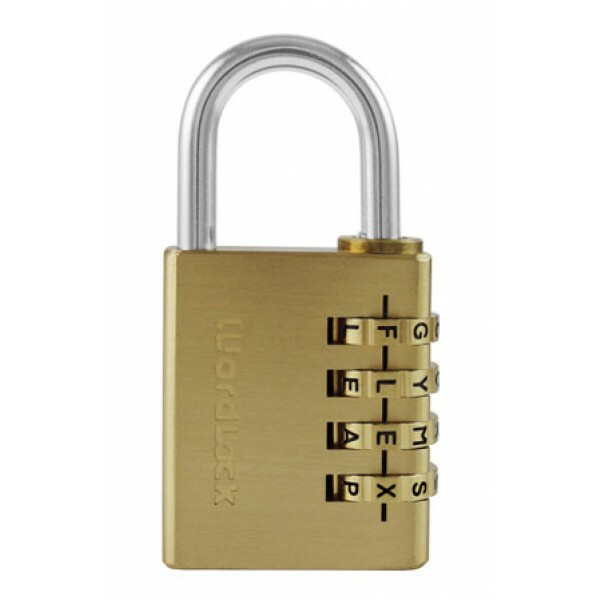 The hardened steel shackle gives you peace of mind against tampering or strain, and the flat design profile keeps your lock flush against the lockers and out of the way.